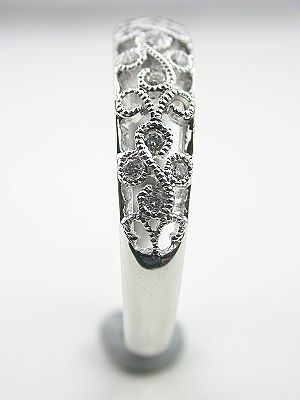 A delicate vine of diamonds winds around the finger in this unusual wedding band. 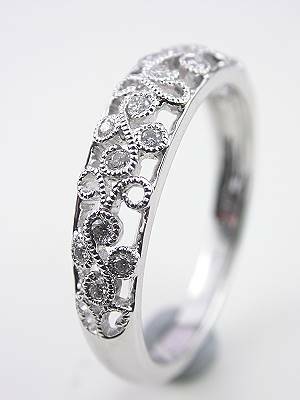 Open-work vines twist their way down the shoulders of this wedding band, with a collection of 16 round brilliant cut diamonds accenting their leaves. 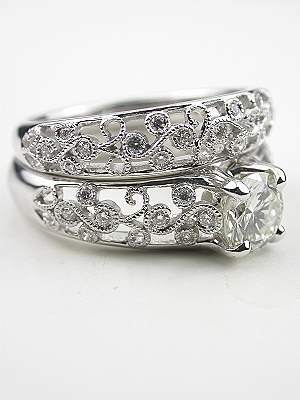 The diamonds in this wedding band total 0.10 carats. 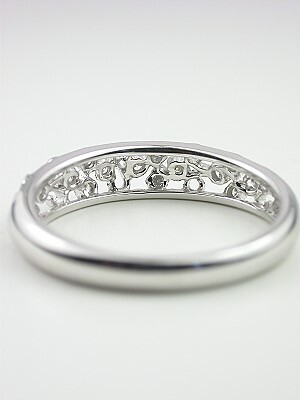 This is the matching band for engagement ring style RG-2813. 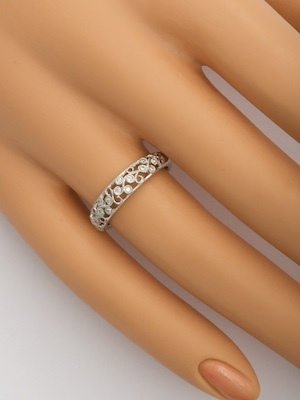 Special characteristics The matching engagement ring for this band is available by special order and is shown in two of the photos. 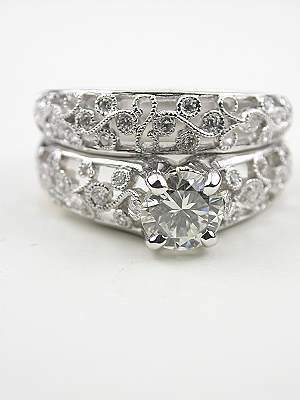 Other ring info For new rings like this one, the gram weight, diamond and gemstone carat weights, color, and clarity, as well as other jewelry details, may vary from the specifications shown on this page, but are similar in quality.